Fresh from their Musik Krause release, Someone Else deliver a new ep on the fledgling Found Sound label, roping a certain Matthew Dear in for some killer remix action. 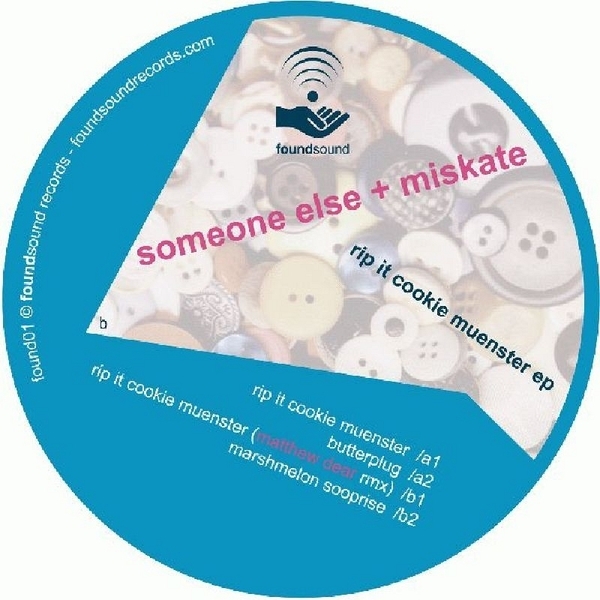 The tracks are classic Musik Krause, jerky house rhythms, lots of sub bass, and an ace house aesthetic endemic in every groove, even Ghostly representative Matthew Dear sounds like Robag Wruhme on here, remixing ‘Rip It Cookie Muenster’ with stabbing acid bass and quirky click rhythms backed by warm but digital pads and that jacking techno vibe he does so well. Top grooves from this new label, and as you Musik Krause buyers know, theres something a little special going on here. Killer.